Carrie joined Tomorrow’s Technology Today in March of 2018 and is our go to for everything educational. Carrie is currently a Training and Development Specialist for TTechT implementing hands on training through the Microsoft Immersion Experience, so clients can utilize their subscription to its maximum benefit. Coming to us with over 18 years of experience in the field of education, she obtained a bachelors and master’s degree from Wright State University and is currently working on her Human Resource degree at Rhodes State College. Carrie offers training services for Vtech telephone systems, Excel and Microsoft 365. Carrie keeps up with updates to the Microsoft platform through online courses. 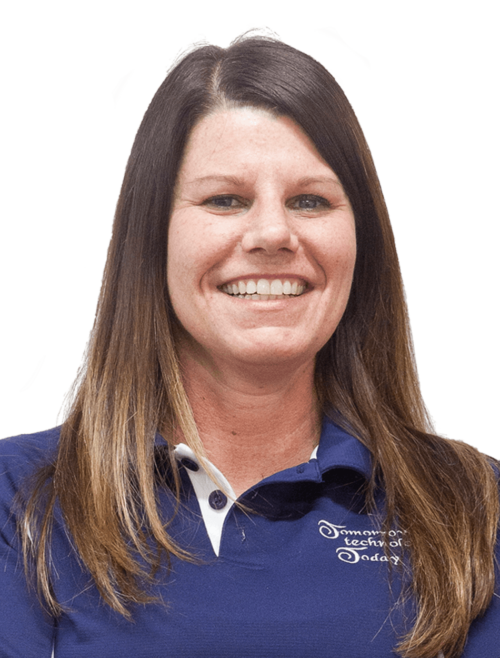 Carrie graduated from Celina High School (Celina, OH) and enjoys spending time with her three daughters when she is not at work. Have an Excel or Microsoft question contact Carrie through a chat session from our web site, call the office or email Carrie to set up an appointment.